Ch Ch Ch Cherry bomb! I'm a little late in my promised review, but that is because I've been savoring every last drop of the best bourbon of 2017. When Booker's raised their price I sought out some alternative barrel proof offerings. I had Stagg Jr. a few times and never really preferred it to Booker's.... Until now. I found this bottle for under $50 so took the plunge. After which I made the public service announcement here: connosr.com/connosr-public-service-announc… I sill have 4 more bottles, hardly enough, but that is the nature of batch releases. Nose: Sour cherry, ginger, wood freshly turned to charcoal - still smoldering. It is almost too sweet of a nose. Reminiscent of a cherry jolly rancher, but there is more depth to examine. I cover the glencairn, concentrate the aroma, and release! More cherry of course, but also sweet corn, vanilla, cocoa, and again just lovely cherries. Taste: Marvelous! 65% abv never tasted so good. Warm and gooey cherry cordials. Something slightly metallic like copper but it fits. The wood and abv start to throw their weight around, tempting you to add ice or water. Some days I resist and others I give in - I am never disappointed. Finish: A little hot as expected, but not drying as would be the case if over wooded. This is a sweet, wet, stickey heat. A hot and humid day, but doing something you love all the same. Sugary charcoal and the metallic copper remain at the very end. Balance: The cherry in this bourbon is unique. You could argue it is off balance since its profile is skewed in that direction with little room for other characteristics to shine. I happen to love it and it is reminiscent of my first EH Talor Barrel Proof which has a huge strawberry presence or Booker's 2015-4 which has heavy orange notes. All of these Bourbons were exceptional, not because they sacrificed flavor for overall balance, but because they didn't. Final Thoughts: Sorry this is late. Maybe you've had this bottle tucked away in your cabinet for the last year. It's time to open it and enjoy! Outstanding from start to finish. This is my 2nd or 3rd bottle of this batch. I've got a few more to go and plan to enjoy this beautiful bourbon for years to come. 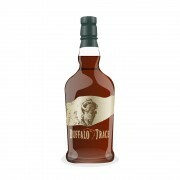 Buffalo Trace Stagg Jr. Happy Fourth of July! This one peeked into the LCBO a little while back and I have a friend who is holding a bottle for me in London. I'm looking forward to trying it. Thanks for the review. I have a bottle of this batch, and I haven't opened it yet. Maybe the heatwave currently hitting Ontario calls for an equally hot bourbon. @newreverie, thank you for posting this review when you did. It prompted @OdysseusUnbound to comment on his unopened bottle and then got me thinking why I was waiting on taking action with this batch. I had passed on Stagg Jr and Elijah Craig Barrel Proof when in a well stocked privately owned store when on a recent excursion with @Nozinan. I did come home with some ECBP (thank you @Victor) and a few other barrel proof varieties, but not acting on this bourbon while it is in my home province is inexcusable. Having back to back days with tornado warnings allowed me to focus on what is important. 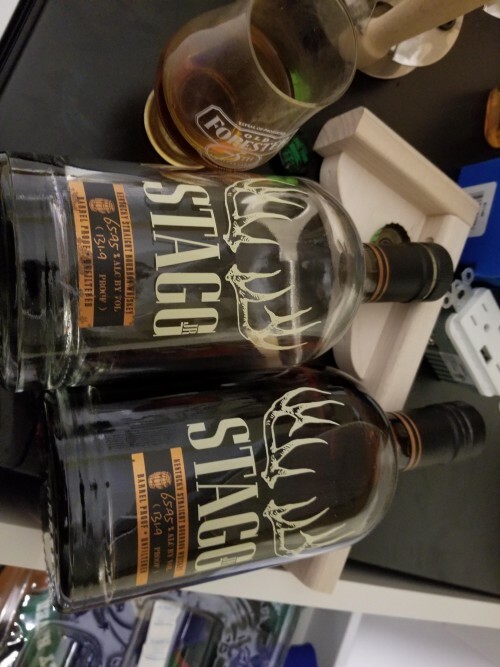 I did what any reasonable Connosr member would do, I contacted @Nozinan ......... and asked if he could pick up a couple of Stagg Jr at a location near him. He did. Thanks buddy. I am for the most part well stocked and ready to endure a trade war ... providing The Donald doesn't sit on the throne for a second term. @paddockjudge If I don't meet my goal to end the year with no more bottles than I started I will know who to blame. When I got to the store there were three bottles, one being held for someone who never picked it up (can you imagine? When I left there were none (and I'm out of LCBO gift cards...). Now I'll HAVE to open the extra one I got just to make sure it's as good as you say, and at some point do a H2H2H with my 2 other opened batches. That could be a killer! I am drinking this right now. Same batch and all. What a coincidence. But yes good stuff, I was only able to score 1 bottle of this batch. Addendum: With time, you're absolutely right about those cherries! @Nozinan glad you liked this one. I've had 3-4 bottles of this batch and all have that big cherry in them. It reminds me of Booker's 2015-1 with a more cherry forward palate and less heat. I preferred this one to the 2017 BTAC GTS release. @newreverie, thanks for your interesting review. I love cherry flavour in whisk(e)y. Sounds like a great batch of Stagg Jr! 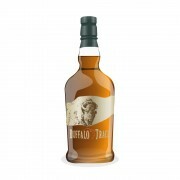 @Victor I don't feel it to be an exaggeration that this batch is one of the top 5 bourbon's released last year. It is the best bourbon I tasted from 2017. On another note, I had a tasting last week with Barrell bourbon and they informed me that Batch 16 was created with a similar method as Batch 11 (blending to bring out a very specific flavor profile). The Barrell Rep told me that batch 16 should have heavy strawberry notes. I'm looking forward to it. Speaking of strawberries.... it's been another year, have you opened that EH Taylor Barrel Proof Yet? @paddockjudge Hey now, The Donald is just looking out for Americans. Trade war ends when we get Northern Border Collection. But seriously what are you guys hiding over there? @newreverie, no, I have not opened up my E H Taylor Barrel Proof yet. When I do so I expect that I will want to do a review of it, though that batch is now several years removed from release, and not something that most people would now be able to obtain. The urgency just is not there for me. I have so many bottles open to close out. @newreverie, Canadians are having a hard time getting some of the 2017 Northern Border Collection! ...and the 2018 release of Lot No 40 CS will be bumped up 42% in price and Wiser's 35 will be bumped up 20%. You think it has been difficult getting the good Canadian juice below the 49th? Protectionist policies will definitely make it more difficult. The need for an effective informal trade network has never been greater. Keep the faith, I've been tucking a few away.